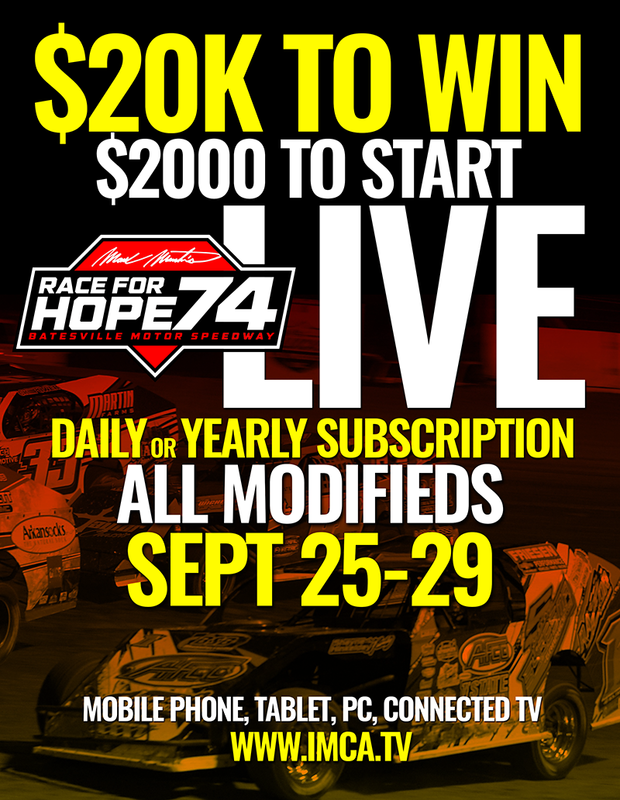 The Race for Hope 74 is LIVE on IMCA.TV Sept 25-29, 2018! Mark Martin's Race for Hope 74 is COMING UP! Can't make to the this Dirt Modified mega jamboree from the Batesville Motor Speedway in Batesville, Arkansas Sept 25-29, 2018? No worries, you can watch every lap LIVE on www.imca.tv with a Daily or Yearly Subscription.